Ayurveda is a system of Indian medicine now practiced all over the world as a complementary system. 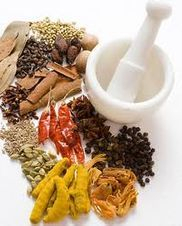 Ayurvedic practitioners have identified a number of medicinal preparations and surgical procedures for curing various ailments and diseases, not completely curable in other systems. Many of its methods—such as herbs and massage, can be applied along with other systems, too. Hakim Tarsem Singh along with his son Dr Bhupinder Singh have dedicated themselves to popularizing Ayurveda since 1958, having given consultations and conducted workshops in all the parts of Ludhiana and Delhi. He is an expert in treating the so-called incurable diseases like hemophilia, thyroid, appendix, migraine and many more. He is also the pioneer in applying natural pathy to the ancient science of Ayurveda for accurate and quick relief from the problem.